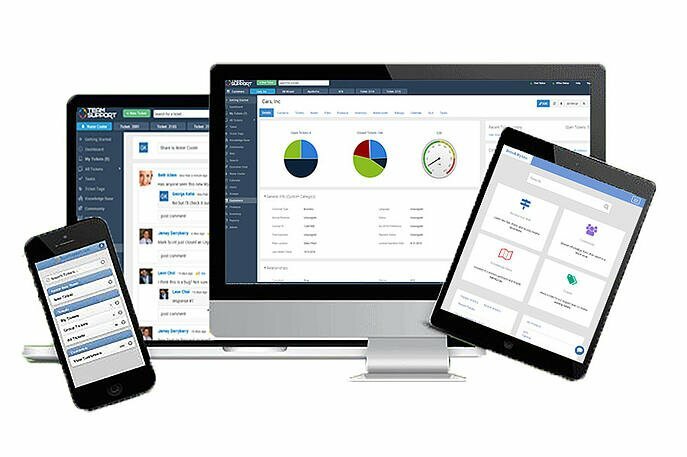 Improve the Customer Experience with Powerful Customer Self-Service Software. B2B support can get very busy, very fast. This means high incoming ticket volume for your customer service reps, and delays for your customers while they wait for an agent to become available. 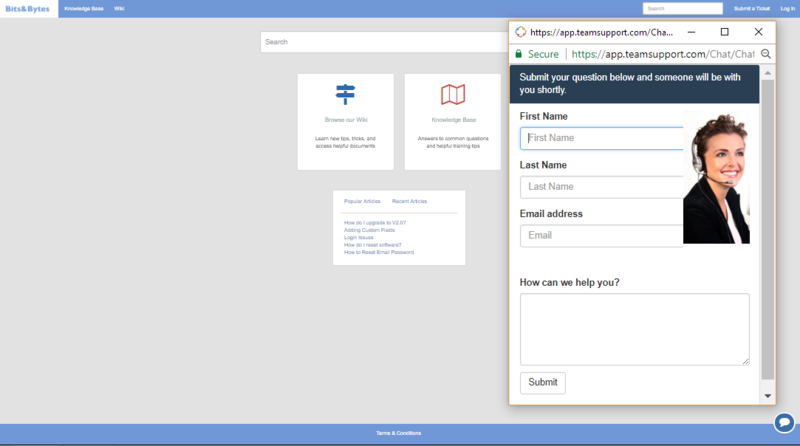 TeamSupport customer self-service software offers a fully customizable Customer Hub that can be embedded in your website, or standalone with a custom URL. With full design access, you can make sure your Hub (aka customer support portal) has the same branding as your website, and your customers won't even know they're using a customer self-service system! Your customers can create and view status on tickets, view knowledge base articles, chat with your agents, and search for information. You can choose to make the information public, or require a login to access. Use Knowledge Base Tickets and Tagging to display suggested tickets to your customers so they can find the answer they need before even submitting a ticket! Even when a customer sends an email to your support team, the system can automatically send suggested solutions as a reply, potentially resolving their issue immediately. 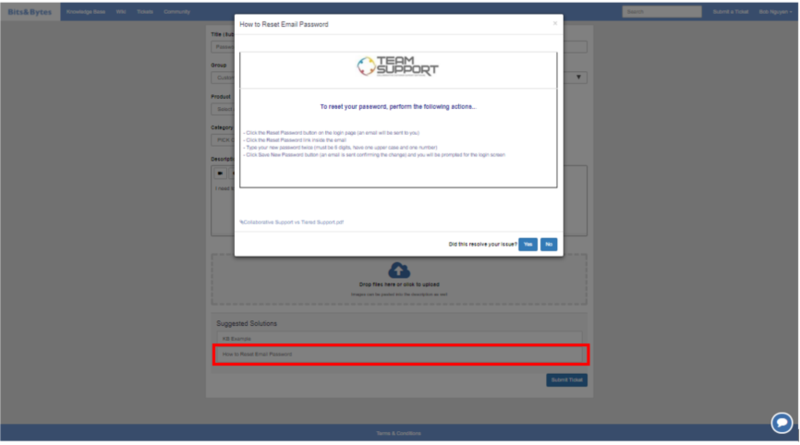 TeamSupport also tracks how effective your Ticket Deflections have been. The “Ticket Deflection Report” will show each time a user clicked on a suggestion presented by Ticket Deflection and will log if that solution was used by the user or not. TeamSupport helpdesk software includes built-in customer chat, so you don't have to pay for another software or worry about using disconnected systems. 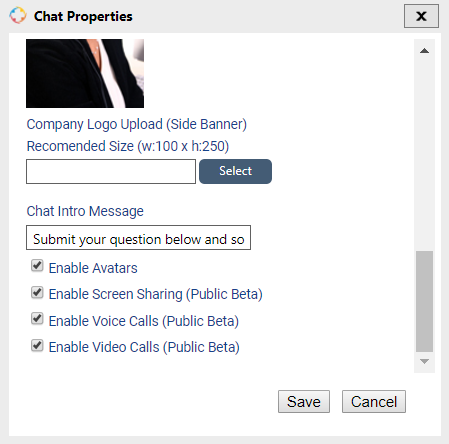 You can easily embed chat in your website and customers can also initiate live chat through your Customer Hub to get immediate assistance from your support team. Chats are associated with the customer in TeamSupport and create a ticket that can be used to follow up with the customer. Even when chat is offline, customers can send a message, which will create a ticket to be answered as soon as an agent is available. 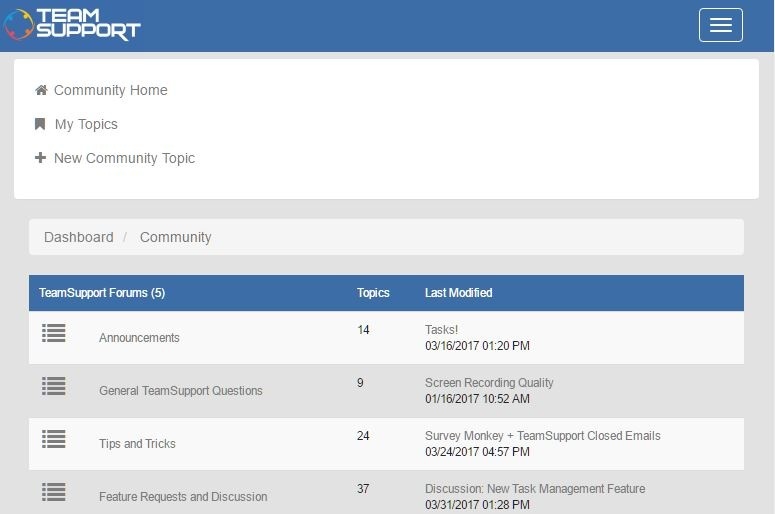 TeamSupport's Enterprise Edition includes enhanced chat functionality including Video and Audio Chat and Screen Sharing to improve communication between customers and support agents. Video and screen share mean you can easily show exactly what is happening or how to resolve an issue. Video chat lets you add a personal touch and explain issues quicker than via text. 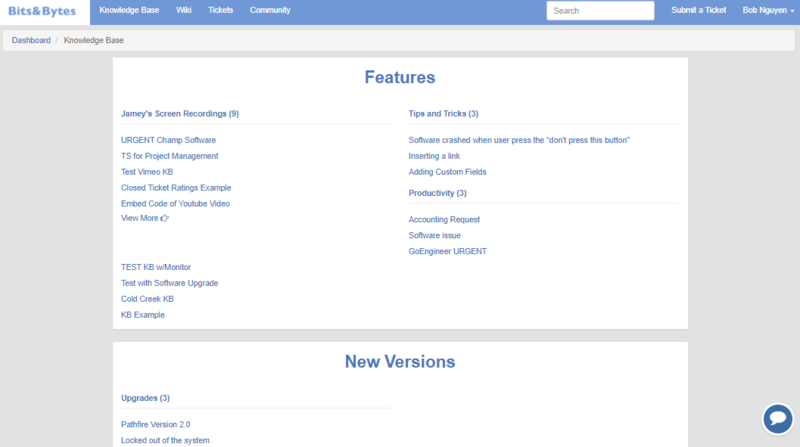 All this visual customer support means faster issue resolution and happier customers! The Knowledge Base is a great area to store documents for your customers to access at any time. They can be used to provide information on your website, or to share information with customers through the customer hub. 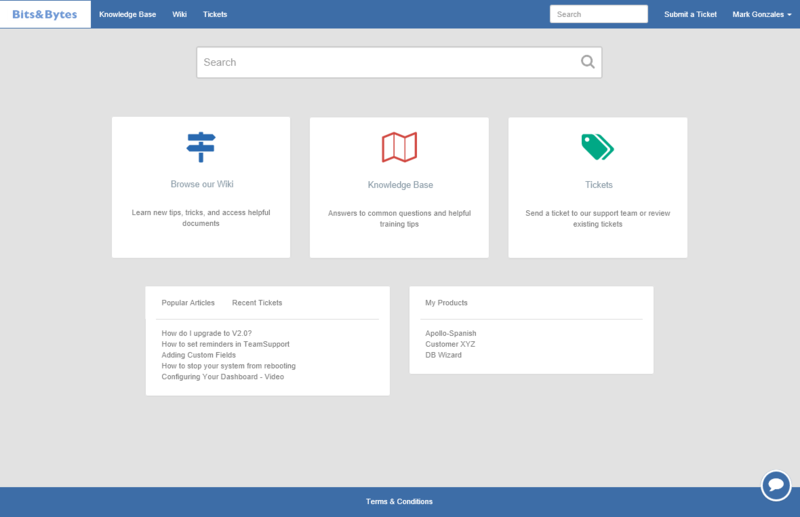 Simply create a ticket, make it visible to customers, and check "knowledge base". Knowledge base articles support many features, like canned response, ticket deflection, and easily configurable customer service portals and reporting. What better way to let your customers help themselves than to let them help each other? When your customers have access to your advanced portal, they can also access your Community to chat with other users as well as your support team. You can create categories and subcategories for better organization, and the customer portal dashboard will automatically show recent posts to your users. You can even lock the post from further comments if needed, so your customers will see it in the forum but won't be able to add comments.